satisfaction. We work hard to make sure our clients are happy with our services – whether it’s minor repair like replacing a bad capacitor or major unit repairs, our trained technicians will get the job done correctly the first time. As a locally owned and family operated business located in Round Rock, we value excellent work ethic and honest service. 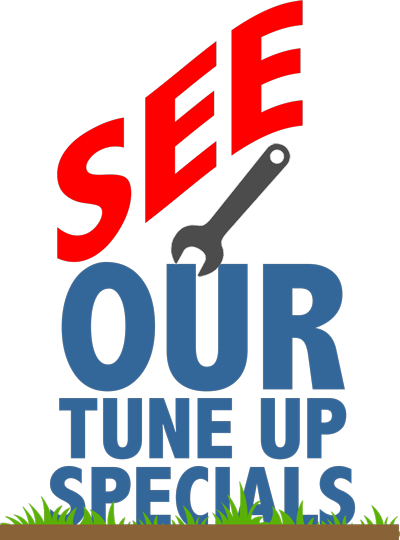 Our technicians will always provide upfront pricing before beginning a job. If it takes us longer than expected or more parts are needed, we won’t charge you any extra labor cost. With competitive prices, great services and and extreme commitment to 100% customer satisfaction, our company strives to be the best in the business. When you are having problems with your air conditioning unit, call on Green Leaf. 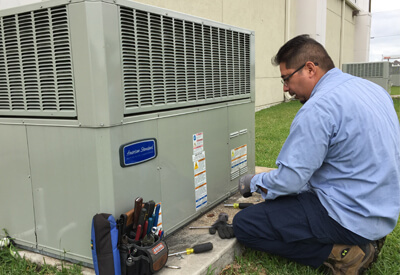 We will make sure we find a solution that fits your budget, and our certified technicians will do everything they can to eliminate future problems with your unit. We can perform repairs on air conditioning units, outdoor units, thermostats, stand alone units, and more. We can service both residential and commercial customers. We know how important it is to keep your air conditioning unit running great all year round. Make sure you are fully prepared for the sizzling summer this year by calling on our HVAC professionals. With regular maintenance, we can minimize the threats of future problems, such as expensive replacements. NATE-certification means we have the training, skills and tools to fix HVAC problems properly. North American Technician Excellence (NATE) was founded in 1997 and is a non-profit certification organization for heating, ventilation, air conditioning and refrigeration workers. Founded in 1997, North American Technician Excellence (NATE) is the nation’s largest non-profit certification organization for heating, ventilation, air conditioning and refrigeration technicians. Headquartered in Arlington, VA, NATE is the certification organization governed, owned, operated, developed and supported by the entire HVAC industry. Developed by a committee of industry experts nationwide, NATE exams are the gold standard in the HVAC industry. We also offer a variety of models of ac units that are ENERGY STAR® qualified. Meaning: these products meet U.S. EPA guidelines for energy efficiency. Our high-efficiency systems maximize comfort while minimizing energy costs and sound levels. For optimal performance, we highly recommend purchasing a matching furnace that is rated and sized properly to work with the air conditioner of your choice. Are you needing air conditioning service? Feel free to contact us online or call us at (512) 636-9636 with any further questions. If you live in Allandale, Anderson Mill, Austin, Barton Hills, Brentwood, Cedar Park, East Riverside – Oltorf, Georgetown, Hancock, Hutto, Jollyville, Leander, Liberty Hill, North Austin, North Shoal Creek, Oak Hill, Pflugerville, Rosedale, Round Rock, Taylor, Windemere, Windsor Hills, Windsor Park or any other city around the Austin area, call Green Leaf for all of your ac repair needs.